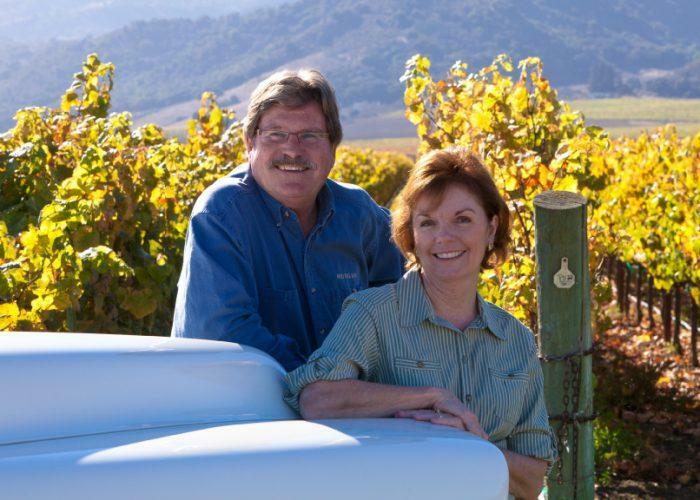 Morgan Winery was founded in 1982 by Dan and Donna Lee,and is committed to making elegant, refined wines from the finest Santa Lucia Highlands and Monterey vineyards. The winery's own Double L Vineyard is in the northern section of the Santa Lucia Highlands sub-appellation of Monterey. This organically farmed site has 45 acres currently producing fine Pinot Noir, Chardonnay, and Syrah. Considered to be the "Cote d'Or" of California, these Santa Lucia Highlands hillside vineyards are in a prime location for the production of cool weather varietals. Organic farming of Double L ensures the purest expression of terroir. Notable neighbors include Sleepy Hollow, Mer et Soleil, Rosella's and Garys' vineyards. The first Double L crop was harvested in the fall of 1999. The wines are currently being made by Gianni Abate, who comes to Morgan Winery from the Robert Mondavi Corp. on the Central Coast. His experiences on the Central Coast have taught him to balance the science and the art of winemaking. He has a tremendous palate, which is necessary to produce world-class wines. The Winery is located in Salinas, where traditional winemaking techniques, combined with modern technology, allow Morgan to bottle wines that are distinct examples of the winegrowing regions from which the fruit comes, as well as the natural characteristics of the fruit itself. Wine Enthusiast 88Very restrained on the nose, this bottling shows light aromas of honeysuckle, blanched almond and lemon rinds. There is good tension on the sip, where fresh and clean citrus and stone fruit flavors ride a steely texture.
" Our Sauvignon Blanc is a proprietary blend of classic Sauvignon Blanc, Sauvignon Musqué, Semillon, and Albarino. The classic Sauvignon Blanc clone offers typical sweet grass flavors while Sauvignon Musqué is a cultivar that we prize for its aromatic intensity and citrus, tropical fruit flavors.